The New Year (we can't believe it's 2019 either) has arrived, and you (hopefully) have plenty of evening dresses left over from the holidays. After all, just because New Year's Eve is a thing of the past, that by no means suggests that party season is over. Cocktail events that call for fancy attire are a year-round occurrence, so keep those dresses in your closet. Now, you have all the frocks you could need on hand, but how about your accessories collection? That's something everyone could use a little help (and refresher) with, don't you agree? Accessories have serious styling power, that's a fact. If you're still in need of the perfect carry-all clutch that's practical but still chic, look no further than the prettiest styles here. And how about your jewelry selections? The easiest way to narrow down exactly what pieces to wear with said frock is to, wait for it, consider its overall style. 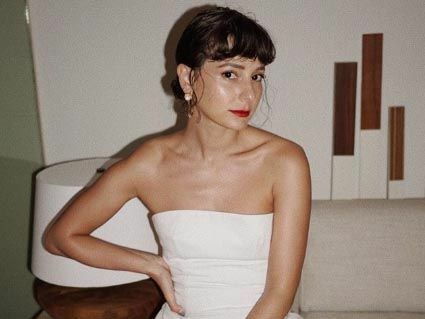 So, in order to find the absolute best necklaces, earrings, and rings to pair with various silhouettes—strapless, backless, etc.—we tapped celeb stylist Britt Theodora for her expert know-how. Ahead, check out her pro tips on the best jewelry for every dress type, because yes, certain pieces simply look better with different cuts. "A dainty diamond choker and white diamond studs are a gorgeous way to wear a strapless dress." "I love this Vita Fede necklace. I think it’s super-unexpected to wear a statement necklace with an off-the-shoulder dress. It is daring and chic!" "A lariat necklace is perfect for a backless dress because you can adjust the neck size and have the dangling part of the necklace go down the back. The drop earrings create a very beautiful, elongating look." "When wearing a dress with a high neck, I love using interesting earrings that go up the ear. These are great options for someone who wants the illusion of having multiple piercings." Next up, shop the affordable pearl jewelry we're eyeing right now.